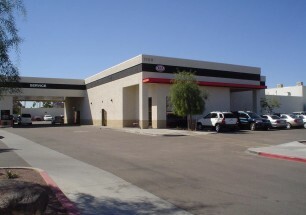 DIVA LASHES, Scottsdale, AZ – Tenant Improvement, 2000, sf. Fashion/Hair care. 2016 PROJECTS – ARIZONA – if you’d like client contact info, please call me. CHASSIS TECH/AIR BAGIT – Mesa, factory/warehouse/office. completed. 20,000 sf warehouse addition to existing 35,000 sf warehouse/factory/office. WHISPERING TREE ‘HEART HOUSE’ – Phoenix, permitted. Wedding event center. Ground -up/Renovation. New 4,000 sf steel stud frame event areas, to existing 1,000 sf historic 1935 house, masonry construction. AMERIGLIDE – Mesa, tenant improvement. 4,000 sf retail sales and vehicle modifications for accessible equipment. STAFCHEX – Tempe, tenant improvement, site design verification. offices for staffingservice. 1,000 sf, completed. OAK ROOM RESTAURANT – Mesa, in construction, open in February. tenant improvements for new concept at existing 40 yr old restaurant. 6,000 sf. XIAO TAN COFFEE SHOP – Tempe, multiple locations under consideration. ANGRY CRAB RESTAURANT – East Mesa , completed, tenant improvement. new concept at existing 1980’s building. 6,000 sf. UNITED REALTY PROPERTY MANAGEMENT COMPANY –multiple locations. tenants are State, office, social welfare, medical. tenant improvements, completed. MORROW RESIDENCE – Phoenix. in construction. extensive rebuild of fire damaged 1960’s masonry house. repeat client from warehouse in Mesa. GRINBLAT RESIDENCE – Prescott, completed. 3,000 sf house, additions and renovations. repeat client from multiple commercial and residential projects. CHRISTIANSON RESIDENCE – San Tan, East Valley. in permitting. unpermitted construcion, cited by county. 2 acre parcel, Horse Stable and one bedroom house. SO FAR INVESTMENTS, San Francisco. Apartment, Tempe/Phoenix, completed. Unpermitted work, cited by City of Tempe, permitted. Modifications to site and landscape in Phx. MYRTLE APARTMENTS – Glendale, in permitting. Ground-up 30 unit, two story apartment complex. Wood Frame construction. HAYDEN TOWNHOUSES – Tempe, in permitting. Ground-up, 4 unit, two story, one bedroom lofts, wood frame construction with fiber cement exterior finish. 6,000 sf. SCOTTSDALE SPRINGS APARTMENTS – modifications to existing laundry facilities to new storage. completed. 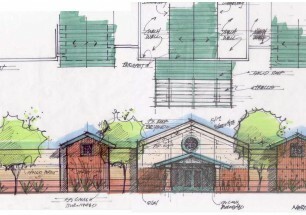 2008 -‘Ranch Style’ Restaurant Complex, schematic design, 16,000 sf., Ft. McDowell Adventures, Ft McDowell Tribe. 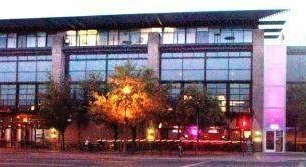 2008. food, bar, music, weddings, events. 2015 -Fox Cigar Bar, Scottsdale, completed July 4. 2015 -Scottsdale Springs Apartments, renovations, completed. 2014 -Boulders on Southern, bar/restaurant, Mesa. open of business. 2014 -Shawn’s Pool Supply, San Tan Valley. open for business. 2013 -Millenium Resort, Scottsdale. accessibility improvements -complete. 2013 -Huff Dental Clinic, Phoenix, Arizona. 2013, dental office, complete. 2013 -Anytime Fitness, Gilbert, Arizona. 2013, 24 hour exercise and fitness facility. 2013 -Arizona Wilderness Brew-Pub, Gilbert, Arizona. 2013, tenant improvement. 2010 -Fountainhead Business Park TI, Interthinx & LA College, Tempe. 2010 -Boulders Restaurant-Bar, Tempe, 2010. new outdoor patio, int. renovations, landscape. 2010 -Cin-Cin Restaurant-Bar Addition, Scottsdale, 2010. 2010 -998 East Indian School Restaurant and Bar, Phoenix, 2010. 2009 -Dave’s Electric Brewery-Bar and Restaurant, Tempe, 2009. 2008 -Multi-family townhome projects, Phx and Pine, AZ. 2008. Office condo project, 16,000 sf, Tucson. un-built. 2012 -Bisbee Royale, Bisbee, AZ. 2012. 8,000 sf renovation of 1919 Baptist Church on Tombstone Canyon Road to nightclub. 2013 -The Stock Exchange, Bisbee. accessibility improvements also National Historic Preservation Office approval for construction tax incentives.